Our staff at Fred Anderson Toyota of Sanford knows how important buying a vehicle is to our customers. Our staff is dedicated to assisting our customers in making the right decision in the purchase process which is why we have provided you with an overview comparison of leasing vs. buying your next vehicle. If you have any further questions or would like any further information, please don't hesitate to reach out utilizing the lead form on this page. Although you don't own the vehicle while you lease, leasing enables you to always have a new car in your driveway while benefiting from the latest safety technology. You own the vehicle & keep it as long as you want it (however, with the average conventional loan length of 5 years 6 months, the banks hold your title). Lease payments are typically lower than loan payments. You can get more car for a lower monthly payment! 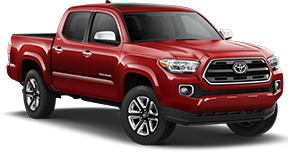 At the end of your lease, you can return the vehicle, pay any end-of-lease costs & walk away (Toyota will begin to incentivize the customer up to 6 months in advance of your term ending). Customers normally lease for a term that coincides with the manufacturer's warranty coverage so that if something does go wrong, the repairs are covered. At the end of your lease term (typically 2-4 years), you can finance the purchase of your vehicle and/or lease or buy another unit. Many automakers offer subvention cash to customers that choose to purchase their leased vehicle. Now that you know the comparisons between leasing & buying, make sure to check out our monthly specials before you buy!